Every wondered why you have Abraxo, washing machines, and lots of clothes but somehow can't actually wash anything? Stuff I do is free forever, if you see it anywhere that is trying to charge then you know I didn't give any sort of permission. Thus feel free to report it there as copyright violation. Aside from that I am pretty chill about stuff. Ask if you wanna use it. I probably won't mind. Bethesda for making the original game, and the Skyrim CK compiler I used for the scripting. Myself for wasting way to much time messing with them. 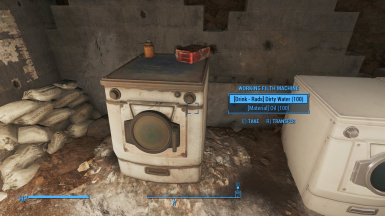 Since the game has dirty and clean versions of many things in Fallout 4, you would think its a no brainer to maker a system for washing and drying one to make the other... well then you'd be wrong. It is a bit more complicated then it sounds. Luckily I've done the hard work and scripting for you with this mod. Chuck Dirty Clothes, Abraxo, and some clean Water in a washing machine, then go do your thing for a bit. Come back and toss it in the dryer and boom, nice and sparkly clean just like it was pre-war. Or to have a bit more control, and immersion craft the soaking tub and laundry stations. This requires a presoak phase and a bit more hands on time to clean or dirty clothes, but it does make more sense... I mean we are talking about 200 year old stains in some cases, a little presoak will do em good. Toss clothes, clean or dirty in the tub to get the 'Wet' version, then craft that to the clean or dirty form. This method also has the advantage of costing acid+antiseptic per item, instead of the slightly more rare Abraxo. You can get the components nearly anywhere. The machines are properly scripted, to essentially scrap your clothes and armor into a unique component for you to craft with. It was a pretty annoying figuring out most of the differences between FO4 functions, and Skyrim, especially since I was shooting in the dark most of the time. However this was essential to avoid having to edit Vanilla lists. As it stands this should be compatible with anything, all elements added are unique so nothing for other mods to clash with. And here [email protected] did a mod spotlight for it, so can hear it from them instead of reading my boring stuff, yay! The Soaking Bin will Wet items so they can be properly Cleaned, Dirtied, or Dried at other stations. The Dryer will Dry a load of Wet items back to their appropriate wearable state. 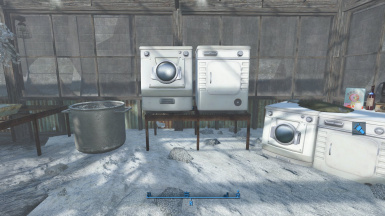 The Washer will turn a load of Dirty Dry items into a Wet Clean versions. 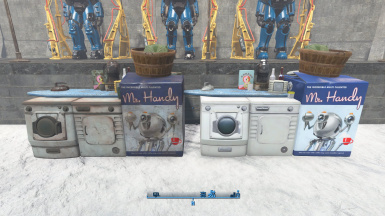 The Laundry Station is a crafting bench of sorts, where you can wash Dirty Wet items into Clean Dry ones, Soil Clean Wet items into Dirty Dry ones, or Dry any wet item back to its appropriate wearable state. 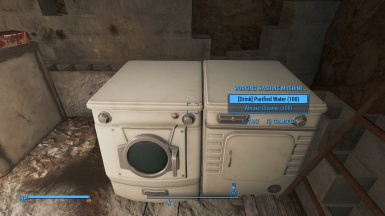 There are also a few combinations you can do here while washing and dirtying that are not available with the machines, such as patching a damaged dirty hazmat suit. The other advantage of using the station over the machines is materials. You can use the Acid + Antiseptic to wash clothes Vs the washing machine requires a proper box of Abraxo. Also by building and using a Soaking Bin you save on water, and time. 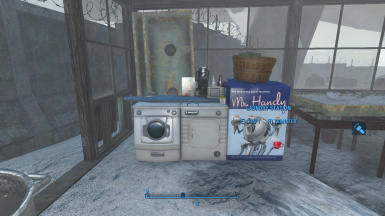 The Laundry Station has another bonus, in that if you have robotics expert 1 and Nuclear Physicist 1, in becomes much cheaper to build then a washer dryer combo. 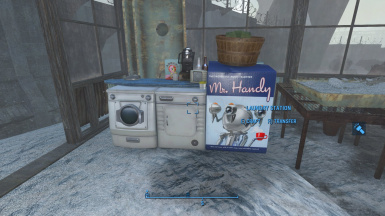 Add your dirty/clean dry clothes, and appropriate consumables. Washing takes 1 Abraxo (any variety or mix of them will do) and 1 Purified Water per item washed. Dirtying takes one [Material] Oil, the sort you get when scraping items with oil, and one Dirty Water per item. They will stop midway if they run out of either, or you get close enough to Activate them. 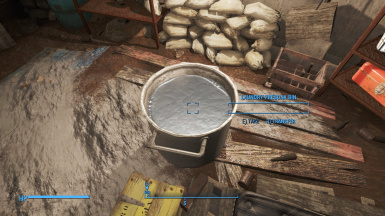 As soon as you move off a bit they will start back up, assuming they have items left to soil/clean, and the right consumables. Once they have finished, or run out of materials, they go to their Full state. Before you can run them again you have to first remove all Wet items. Exit the menu. Open it again add more stuff to wash/soil, then wander away again. when you use the Laundry Station. So this should be spoiler free too. When I started this I had all the Wet versions of clothes using the same pretty icons and ground objects as their armor variants did. I even was in process of making them actually Look Wet too... but sadly something about using the Armor ground objects as icons makes the game explode... not all the time mind you, just like 66% of the time. So sadly the Wet items have to use a boring mod box icon thingy. The Washer and Dryer... I had everything set up for those to Sound like they were really running while they are processing... sadly all I could figure out to do, was using the Skyrim compiler + PEXUpgrader, which I've been since told is a horrible idea. Still it was what I could find and get working at the time. 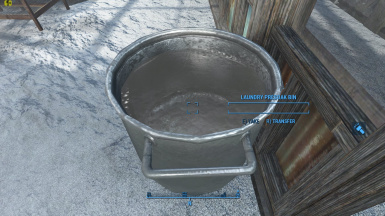 Sadly not all Functions work (or at least work through this method) the same, or at all in FO4. Things like OnSleepStart events just kill the script entirely while PlaceAtMe functions are seem to be completely ignored. I will have to do some more experimenting with these using Caprica. Needless to say, I tried, holy crap I tried to make them play a sound while on but it seems quite impossible until we get the CK and with it the new script compiler. Have to give a shout out to Simple Intersections for showing us how to make workshop placement less of a headache. Also Champollion is super helpful when studying vanilla scripts, to learn how to write your own. And Caprica is the GoTo resource for compiling them for the game. Just be sure to run it in a cmd window to see proper command line format it wants. If you're interested in scripting make sure to see Wenderer's post in the comments section, for how to use Caprica correctly. 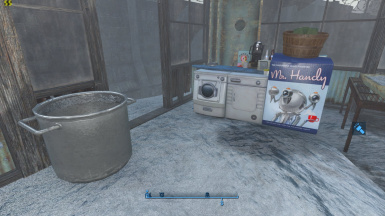 If you want to see my current setup for script compiling with a hotkey from Notepad++, I have a post about that in the FO4 Mod Authors forum. Big thanks to the XXXEdit team for getting their tool working with FO4, without which this mod, as well as many others just wouldn't have happened.